A great one, this, for those on the hunt for a good daytime moisturiser that will keep oiliness at bay. 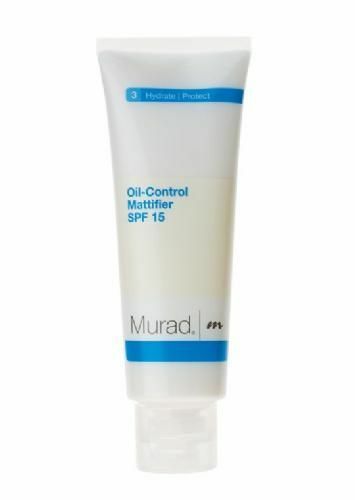 If you find the Neal’s Yard Remedies SPF30 a little too powdery in finish, then Murad’s your man. The finish of the Oil Control Mattifier is perfectly matte (as you’d hope!) but doesn’t feel quite so ‘arid’ as the Neal’s Yard. Introducing, though, the weirdest glue-like texture you’ll probably ever find in the world of beauty; the formula is really rather scary when it comes out of the tube! Work fast and it absorbs quickly and easily, leaving the skin feeling balanced and nicely hydrated; dilly-dally about and you might not get quite such a great result! A good, effective mattifier.